The audio interview (12 minutes) with Gata Kamsky took place before Friday’s closing ceremony, while Veselin Topalov posed with the winner’s trophy on the same afternoon for a video interview (9 minutes). The meeting with Mr.Georgios Makropoulos took place in Sofia, during the 7th game of Kamsky-Topalov match. In a candid interview with Chessdom’s Chief Editor Goran Urosevic, Mr.Makropoulos talks about the ongoing match, gives a retrospective of the events over the past few years, announces the probable postponement of the Anand-Topalov match and possible changes in the World Championship cycle. Goran Urosevic: Good day Mr.Makropoulos, thank you for accepting the interview. You were one of the key figures behind the negotiations to arrange this match, so how do you see the competition now that is finally taking place? Georgios Makropoulos: I am personally very satisfied with the conditions that we have here in the match. It is a very high level preparation from the Bulgarian Chess Federation and I believe that we have delivered what was promised – fair conditions for both players. This proves that FIDE is right when we claim that it is possible to hold a match in the country of one of the players. This is completely normal, because the involved federations have better possibility to convert the public interest into sponsorship and secure the finances. In general, we are really satisfied with what is going on here in Sofia. Goran Urosevic: You were also instrumental in sealing the deal for Kramnik-Anand match, as well as for many other important events. Can you draw some parallels? What is a common detail and what was specific for this particular match? Georgios Makropoulos: You know what is the problem in all these matches? There are suspicions between the two interested parties. There is suspicion always, and it is not easy, really, because the games are very long and the players should normally leave the board, go to the toilet. Even if we have only toilets, without private rooms, even this is a problem. If the players are not assured that their teams have control over the entire playing area, it can lead to suspicions that something could go wrong. What is important for me in these matches is that both sides should feel that there are no problems. If the match is organized in the country of one of the players, or if the organizer has special relations with one of the players, as it was in Bonn, then FIDE should do everything possible to make the “weak” side, the other player, understand that we have taken all necessary measures to provide fair conditions. I believe we were successful, both in Bonn and in Sofia. Goran Urosevic: I would like to go back to the time of the Presidential Board in Tallinn. This is probably an old story for you, but different speculations were emerging as this match was closing in. Can you clarify again how did Veselin Topalov qualify for this match? Georgios Makropoulos: It is well known that in the days when Topalov became the world champion we had a regulation that was allowing any 2700+ player to challenge the champion to a match, if he provides a one million dollar prize fund. When we convinced Topalov to play the unification match with Kramnik, Topalov knew that even if he loses, okay, he will be out of Mexico City tournament, but at least he could challenge the champion under the valid FIDE regulation. This was his right. When we waved his right, we faced the absurd situation that he could not participate in Mexico. And then what could he do, to start the cycle from the very beginning? That was not fair to him. Topalov actually challenged Kramnik under 2700+ clause, just we did not have enough time to organize this match before Mexico City. That is why we had to reject this offer. But it was clear that FIDE had to do something for Topalov. We did not give him some special privilege when we decided that he will play with the winner of the World Cup. In any case, all this happened in the period when we were making changes in the regulation. In the beginning, the winner of the World Cup was supposed to play the match with the World Champion. We were also thinking about the tournament that should produce a candidate. Or keep the system where one year we would have a champion from the tournament and next year the World Championship match. There were many proposals and many ideas and we were in the process of finding the best solution. I believe that the decision to have a match between Veselin Topalov and winner of the World Cup was fair. And also this decision was made months before the World Cup. 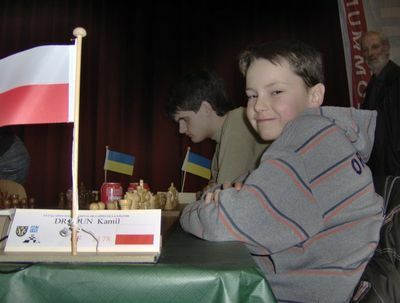 When Kamsky won the World Cup, he objected on that time to play the match in Bulgaria. Then we started long discussions, negotiations, lots of people have been involved, two different managers from the side of Kamsky, the United States Chess Federation. I can say that nobody really helped to make a progress in the right direction. In particular Mr.Chernenko, who appeared in some moment with this proposal of one million dollars, that never actually existed. He made the life of the players very difficult. Here I have to say that Emil Sutovsky played a very positive role. As I said in an interview prior to this match, I have my own opinion about Kamsky, he is a nice gentleman. I don’t believe that Kamsky ever wanted to cause problems. We have just been unlucky, both sides, with this situation. I also hope that today Gata is more or less satisfied with the conditions. Let me just add that Gata is one of the players that have contributed a lot to chess, he is not here by mistake, and FIDE should take this into consideration before the decision about the World Championship system that we are going to have soon at the Presidential Board in Istanbul. 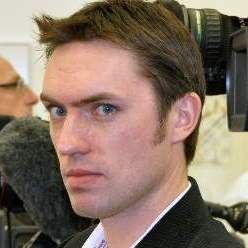 Goran Urosevic: You just guessed my next question. We heard FIDE President Kirsan Ilyumzhinov saying here in Sofia – “there will be no changes in the World Championship cycle”. What does it exactly mean? Georgios Makropoulos: Yes, this equation will be clarified during the Presidential Board. Does that mean no changes of the decisions brought by the General Assembly? Or no changes of the regulations that were valid before the Assembly? Goran Urosevic: You can’t say anything at this moment? Goran Urosevic: The winner of the Kamsky-Topalov match should play against the World Champion Anand. Any news about the dates, venue etc? Georgios Makropoulos: That match was supposed to take place later this year but Anand has asked for postponement and I think he has this right. His arguments are very strong as in the last three years he was the only player to be constantly involved in the World Championship cycle. When he asked for postponement, I spoke with FIDE President, and the final decision will be also reached in Istanbul. My impression is that we should move this match to the next spring. In any case, should this match take place later this year, as planned, it would be very difficult for FIDE to find sponsors in the next few months, because the time is short. Goran Urosevic: Do you think that FIDE is transparent enough about the decision-making process? Georgios Makropoulos: Yes, I believe it is. But, you know what is the problem with FIDE? If, at some point in time, we are not able to find an organizer for important tournament, then the whole system can collapse. Therefore, FIDE should make amendments, should make changes. The truth is that over the last few years we have tried to establish the longterm system. We had many discussions on which system would be the best. Would that be Grand Prix tournaments, where the winner plays the candidate from the World Cup? Or should we have a tournament, as I explained earlier? We tried the system with the Grand Prix, with many problems. Still we need to find a host for the last tournament in December. When Kirsan created the Global Chess, and he invited Bessel Kok to be a Chairman, it was expected from Kok to move forward and find new sponsors. He was promising great sponsorship when he ran for FIDE Presidency. And when he finally got this position, he did absolutely nothing, he disappeared. Even the last Grand Prix tournament, which he promised to organize in the Czech Republic, was canceled. And then Kirsan had to use his connections with important people to organize all Grand Prix events. But we cannot continue like this. There is another problem with the Grand Prix, the problem with the very top players. The prizes are not high enough, they are making much more in Linares or Corus. So for them these tournaments are not attractive. Kramnik, Anand, Morozevich… are not participating. Goran Urosevic: And some have quit in the middle. Georgios Makropoulos: Yes, but this is different discussion. Also Topalov, Shirov, are not in the Grand Prix… what is going on. Is this the best system if top players are not there? It is obvious that FIDE should find a final solution which would satisfy all the parties. We will openly challenge all these issues. Many people know, that in the past I was proposing a system of – one year to have a World Championship (or candidate) tournament, the next year to have a match. In my opinion, this is the best. Because, with the tournament we can provide a certain flexibility, and have the highest rated player, the World Champion (if defeated), and all the top players, ensuring that the candidate who proceeds to the final match is one of the world’s best players. Today, with the system that we have, this is not possible. Can you imagine if Anand, who won the World Championship twice, one tournament and one match, loses the next match – he would be completely out of the next cycle. Who in the world can say that this is logical. We can’t tell him to play the World Cup or the Grand Prix tournaments, when at the same time he has to play a match. It is clear that we have a wrong system at the moment, and that we should change it. Goran Urosevic: Thank you for the interview. See also an earlier interview with Georgios Makropoulos, part 1 and part 2.